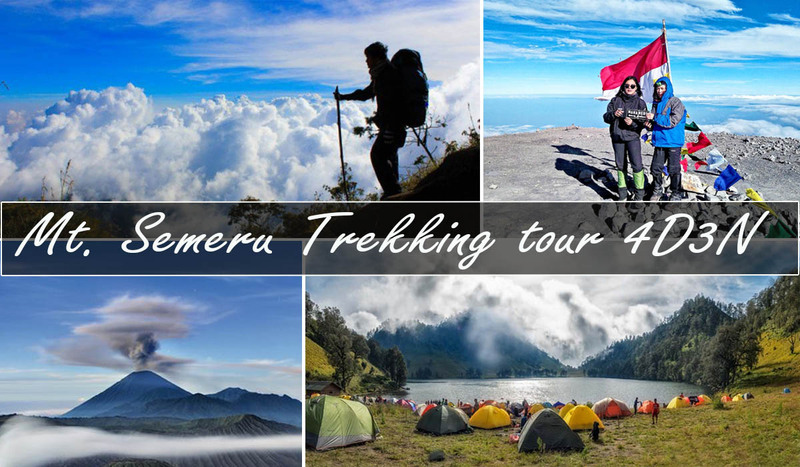 Mt Bromo Ijen Tumpak Sewu Waterfall 4 days 3 nights package tour – a combination of the 3 best tourist spots in East Java, namely visiting the sunrise on Mount Bromo, the Blue Fire of Ijen Crater and tumpak sewu waterfall. They are in tree different places. Mount Bromo is in Bromo Tengger Semeru National Park. It is in border of Probolinggo, Lumajang, Malang and Pasuruan. Tumpak Sewu is in southern of Mount Semeru, in Sidomulyo village Pronojiwo Lumajang. 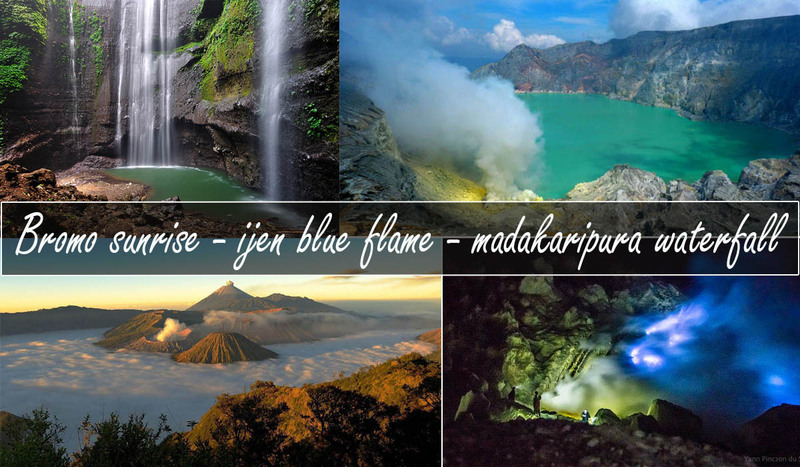 And Ijen is located in a border of Banyuwangi and Bondowoso. These tourist places are famous for their beauties. 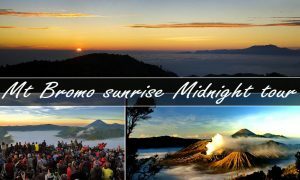 Mt Bromo is for amazing sunrise view with the caldera including grassland savanna, sea of sand and the crater. Mount Ijen with Its green crater lake and bluefire. while Tumpak Sewu is for wonderful waterfall which is believed as most beautiful waterfal in Java island or Indonesia. pick up service from surabaya airport/hotel/train station and drive to hotel around ijen area for 4-5 hours driving. 00.00 start the trip from hotel to paltuding which is the last monitoring station and entrance. 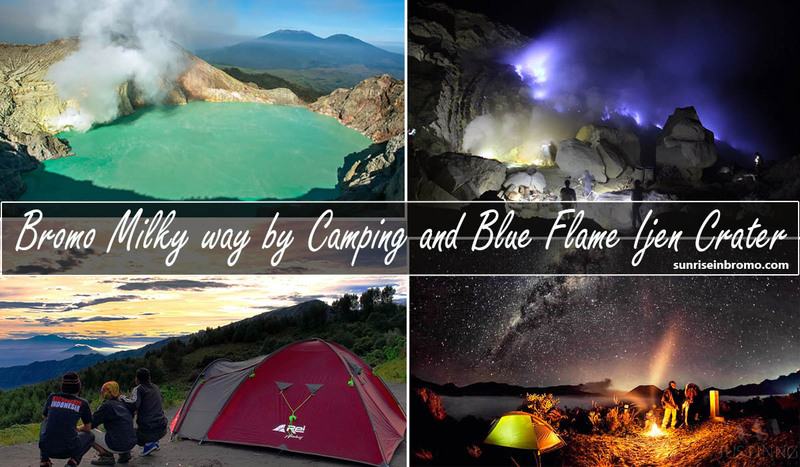 then you will do trekking for 3KM to the top of ijen crater and it’s takes 1,5 – 2 hours. Continue trekking down to bottom crater for 40 minutes. Arrive in Bottom Crater enjoy the Blue Flame Crater from Close distance until finish at 05.00 AM then return to the top for 45 minutes. Reach the top, Enjoy the Ijen Crater view (green acid lake, sulfuric crater, yellowish sulfur and sulfur miners loading the sulfur from bottom crater) until finish and comeback to paltuding or parking lot for 1,5 hours then comeback to your hotel for 2 hours driving. You will enjoy the amazing landscape along the road, passing coffee plantations and rainforest. if you like, you can visit hot spring around ijen area before going back to hotel. reach hotel, take breakfast and shower. 12.00 chek out and proceed to home sstay around tumpak sewu waterfall for 4 hours driving. after breakfast at 08.00 am start to trekking down to waterfall point by descending cliff and crossing river for 1 hour. enjoy waterfall and the panorama view there. when you are satisfied going back to parking area. 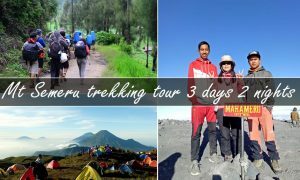 06.00 AM, finish enjoy all the views, comeback to the jeep and continue to the top of Mt Bromo by stop at sea of sand then do a trekking to the top of Mt Bromo for 25 minutes or take the horse riding transportation. After finish enjoy Mount Bromo Tour, comeback to the jeep then continue to hotel around to have breakfast and shower and comeback to Surabaya Airport for 3,5 hours driving. End of the tour.